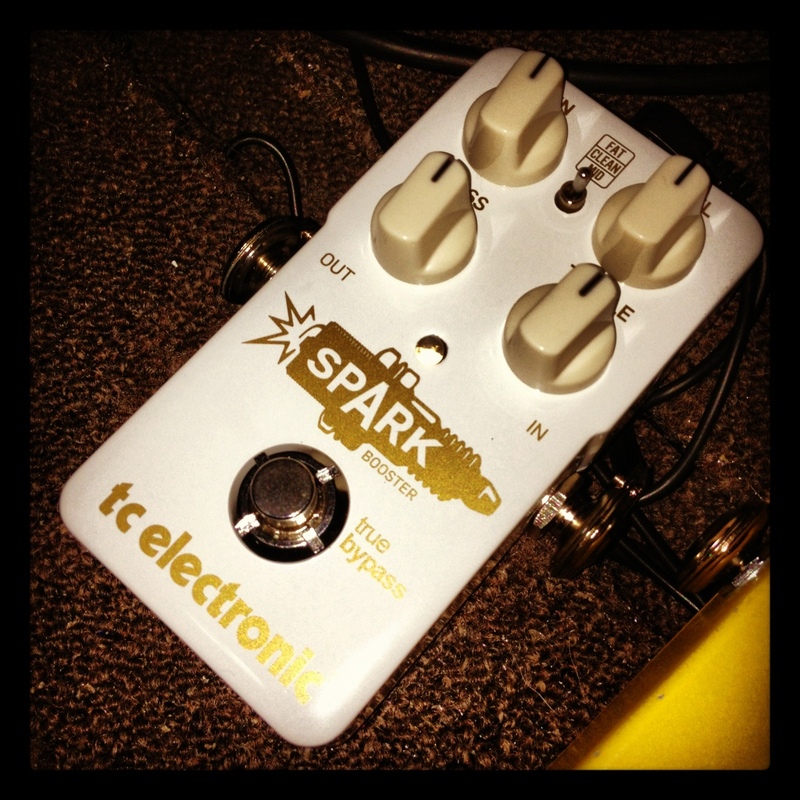 New new TC Electronic Spark Booster. I received a box in the mail from TC Electronic today. Inside was something very nice – the brand new Spark Booster. The Spark Booster is an extremely versatile pedal that offers up to 26 dB of boost, with the flexibility to adjust bass, treble, output and gain. It also comes equipped with a switch giving you a strictly clean boost, a fat boost, or mid-range boost. The bass and treble controls are active, so you can use them to increase or attenuate levels. It features the usual build quality that TC Electronic are renowned for, and looks like its built to last for decades.